Have you ever wanted to eat healthy but simply couldn’t’ afford to, didn’t have the time, or just downright didn’t think it tasted as good as, say, a cheeseburger? If so, there’s good news. You’re like the majority of Americans who find it challenging to make the sacrifices necessary for a healthy lifestyle in the modern world. The better news, however, is that one Boise couple is changing consumers’ idea of “healthy,” one store at a time. 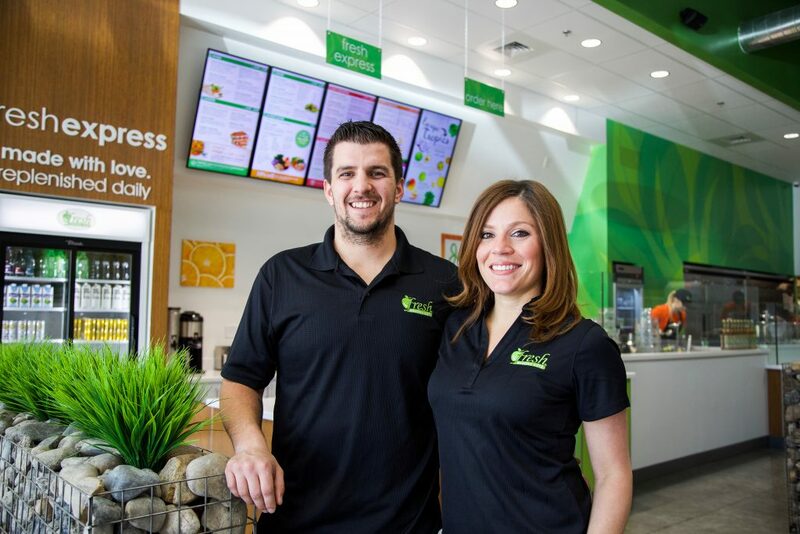 Eric and Zaira Sutherland opened the doors to their new franchise, Fresh Healthy Café, in downtown Boise on May 13th at 860 W. Broad Street. Immediately upon walking in the front door, customers are met with earthy, vibrant colors and a menu filled with healthy meal choices. 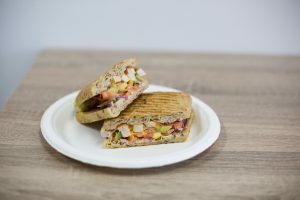 Customers can choose from wholesome entrees such as paninis, wraps and protein bowls, or nutritious fillers like smoothies, soups, salads and fresh-squeezed juices. The best part? Each of these delicious menu items can be yours in five to 10 minutes for under nine dollars. “We’re trying to take the fast food image in people’s heads and flip it,” voiced franchise owner Eric, brimming with ambition. The always health-conscious Eric was concerned with Zaira’s health and convinced her to try a 10-day red and green juice detox with him. The detox was wildly successful and awoke the health nut inside of Zaira, prompting her to change her lifestyle for the better. “I haven’t taken a single pill since,” she beamed. A tight-knit family, Eric and Zaira relocated to Boise to raise their two young children and live near Zaira’s sister. But life happened, and Eric found himself frequently traveling for his work as an electrical engineer. Meanwhile, Eric found out firsthand how challenging it can be to eat healthfully on the road. With constant flights to catch and deadlines to meet, he was unable to make the healthier food choices he was so accustomed to eating and deeply believed in. “Everything you put in your body contributes to how you feel,” Eric said, with conviction. As a result of his traveling struggles, the seed was planted in Eric’s mind for a healthier fast food alternative to rescue other busy, on-the-go eaters from what he endured. “One day he called home and said he’s done traveling, he’s done with the distance, and he wants to be home,” said Zaira, her voice warming at the memory.. “I made a promise to her a long time ago that we would settle down and be a family,” explained Eric. Being a man of his word, Eric began researching how to make his vision for healthier food options a reality. He stumbled across Fresh Healthy Café, reached out to founder and CEO Jeff Parker, and began the process of franchising last October. Just seven short months later, the Sutherland’s find themselves “taking care of our health, our community and our environment,” according to Eric. The Boise downtown location is Idaho’s first Fresh Healthy Café location, but expansion is already on the horizon. Eric and Zaira are currently eyeing additional locations in Boise, Meridian and Eagle as they attempt to revolutionize the fast food industry in Idaho. At what Eric and Zaira hope is only one of the first steps in a long journey towards making Idahoans everywhere greener, cleaner and healthier, there are plenty of unknowns. 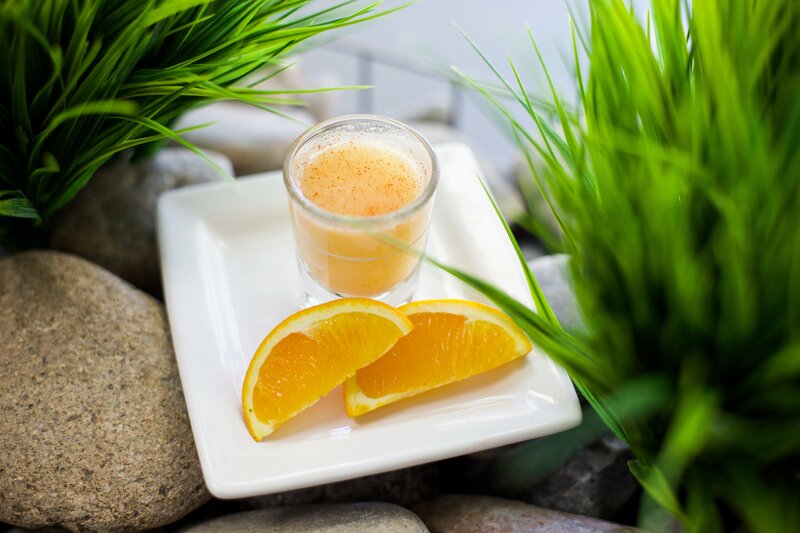 But one thing is certain: Fresh Healthy Café is here to stay. Fresh Healthy Café is poised to carve out a niche in Boise’s growing food scene. Be part of a revolution and get on down to Fresh Healthy Café—fair warning, though: fast food may never be quite the same for you again.